Vancouver Farmers Markets at Main Street Station in Strathcona on July 10, 2013. Published in Vancouver Is Awesome. 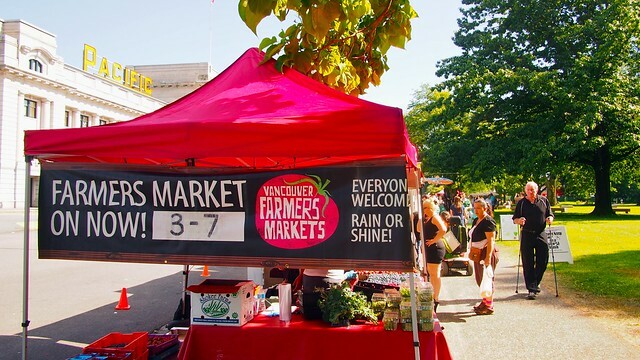 Every neighbourhood seems to have its own edition of Vancouver Farmers Markets (Trout Lake, Kitsilano, the West End, and Kerrisdale). What's special about the Main Street Station location is its the only one during the week and at night. 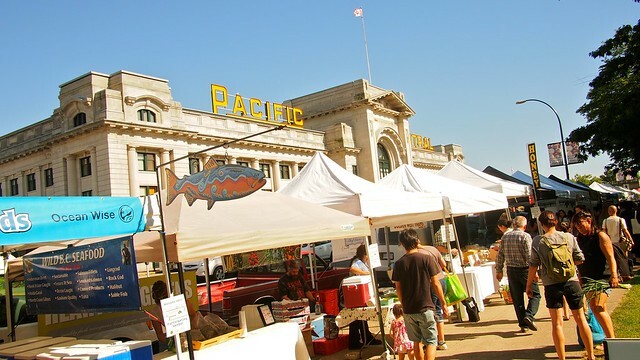 Every Wednesday between 3 and 7pm, local vendors take over Pacific Central station's parking lot, hawking the usual fresh, local, and kitschy fare. 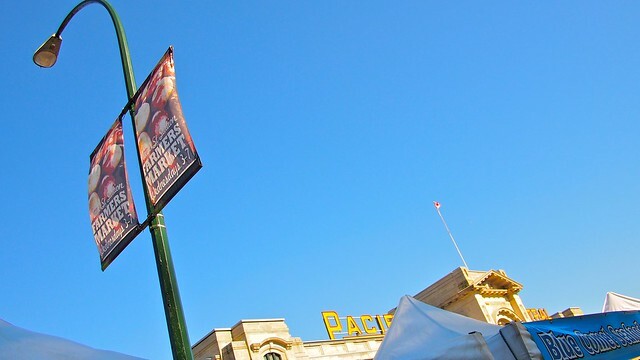 Main Street's market is extra chef friendly as it's the only farmers market most chefs can actually attend. 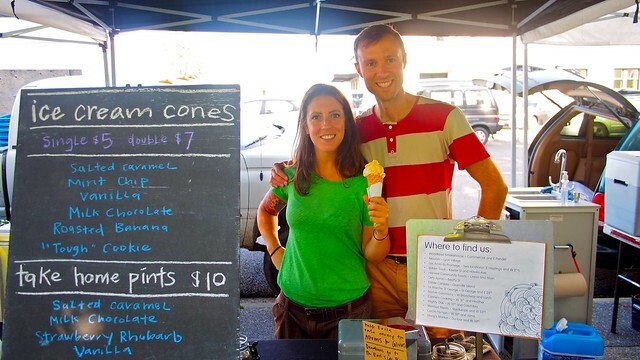 I had to stop by everyone's favourite local ice creamery for a salted caramel ice cream waffle cone straight from Earnest Ice Cream and owners Ben Ernst and Erica Bernardi. After the market closes, head down the block to Campagnolo. 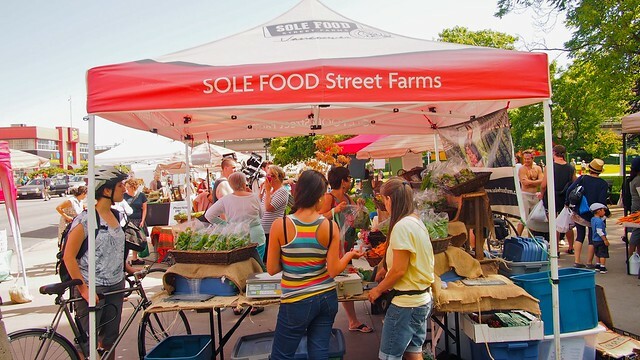 The restaurant has partnered with VFM to feature fresh ingredients from the market in their special Market Wednesdays menu every week, but you probably already read all about it here. 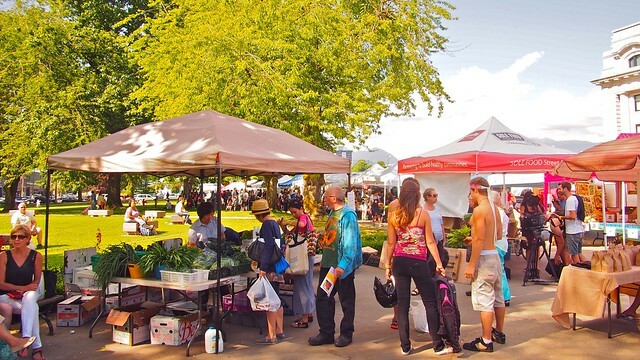 Make sure to check this more youth oriented, trendier Eastside farmers market after work. It's on like Donkey Kong until October 2nd.